I found this interesting. 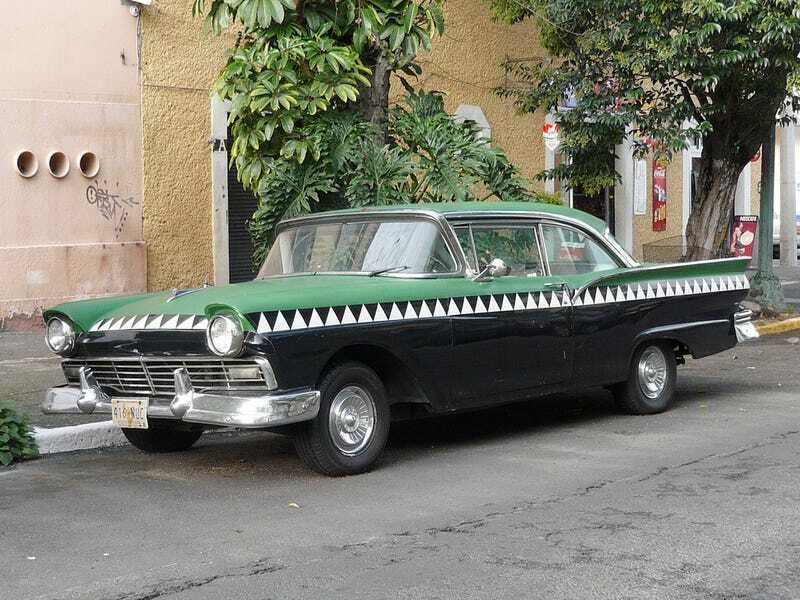 In the 1950's, there were Cocodrilo (Crocodile) taxis in Mexico. The above photo is a 1957 Ford. The following photo is a fleet of 1958 Chevys.